How to build the K9AY loop - This PDF document provided by AT technologies explains how to build the K9AY loop receiving antenna. National Radio Data - Call Signs database. - At national Radio Data you can search for more than 838,000 United States and 55,000 Canadian ham radio Call Signs and related information. HamLog.eu - This online database, called HAMLOG, can be used free of charge by any radio amateur worldwide. 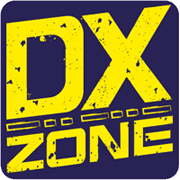 DX base from UA9LP - QSL managers - The database on DX to stations and their qsl managers, and also addresses of the managers and addresses of some DX-stations, which one work without the manager. QSL Search machine by OZ7C - Records based on OZ2DXC Copenhagen DXcluster QSL and MGR databases. ACARS Analyser - Designed to work with all the major ACARS data capturing programs and enable users to get a complete picture of all the aircraft in there database, where they go and what they have done in the past. DTMF decoder - A very easy to use program to decode DTMF dial tones found on telephone lines with touch tone phones. The DTMF Decoder is also used for receiving data transmissions over the air in amateur radio frequency bands. Fcc Lookup System - The FCC Lookup System software uses the standard FCC data files in an advanced lookup system for matching a call sign to a user. The software creates index files to allow rapid searches without modifying the FCC data file. Available for both Windows and Linux.